Nine leaders of Hong Kong’s “umbrella revolution” pro-democracy movement, which drew hundreds of thousands into the streets in 2014, were found guilty of several charges today. Pressing questions about the future of an intellectually challenged man in Nova Scotia drive home the heart-wrenching dilemma faced by many families across the country. An unconventional family in Britain has important ties to Canada. The colonial-era charges — conspiracy to cause a public nuisance, inciting other people to cause a public nuisance, and inciting people to incite others to cause a public nuisance — sound faintly comical. But the consequences for the nine leaders of the pro-democracy umbrella movement convicted by a Hong Kong court this morning are likely to be dire; up to seven years in jail for each count. 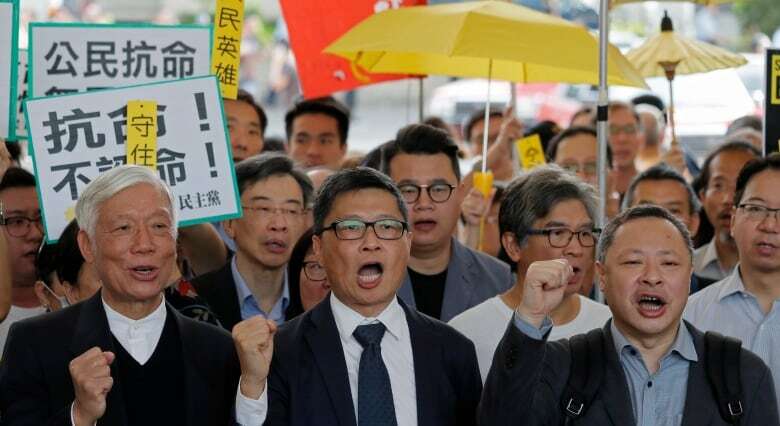 Sentencing could come as soon as tomorrow for law professor Benny Tai, Baptist minister Chu Yiu-ming, retired sociologist Chan Kin-man and the six other activists, including two current members of Hong Kong’s legislative council. And whatever the outcome, it appears that Chinese authorities have already succeeded in their goal of dampening the democracy dream, with just a hundred umbrella-wielding supporters on hand outside the courthouse in West Kowloon. Twenty-two years after Beijing regained control of the former British colony, the principle of “one country, two systems” as set out in Hong Kong’s Basic Law, appears increasingly under threat. 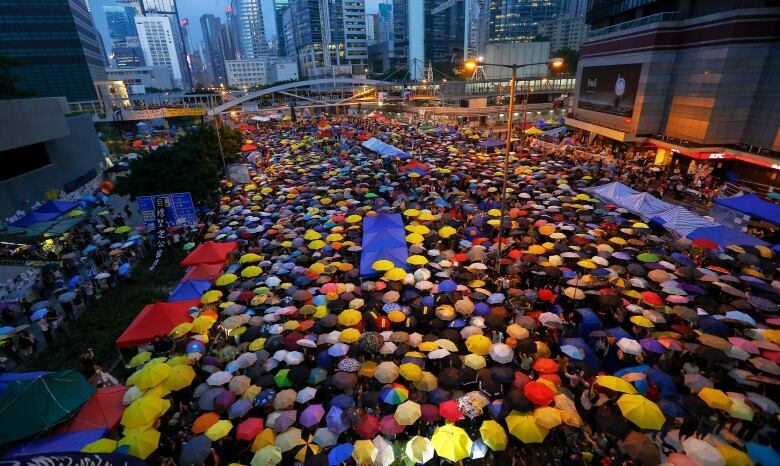 A recent Amnesty International report found that Hong Kong’s human rights situation “deteriorated severely in 2018.” It cited increasing police and government attacks on freedom of expression, assembly and association, through arrests and acts of censorship. The Hong Kong government has declared “zero tolerance” for any calls for independence from mainland China, banning the tiny Hong Kong National Party and threatening all sorts of activists with charges of sedition. There are concerns that a new law that will allow for extraditions between Hong Kong and the rest of China could be used to target journalists, foreign business people and democracy campaigners. Perhaps not unreasonably, given the recent history of local booksellers who have gone missing and then resurfaced in Chinese prisons. Dozens of people are on trial for past acts of dissent, sometimes dating back years. Prominent Catholic activist Yip Po-lam, for example, was recently jailed for two weeks for causing a “public disorder” during a land protest outside the Legislative Council five years ago. Joshua Wong, who shot to prominence as one of the youngest pro-democracy protesters, was back in court last week appealing a three-month sentence for his part in the 2014 umbrella demonstration in Mong Kok. There have been disturbing allegations that pro-China newspapers in Hong Kong have been targeting independence and democracy activists, as well as the foreign reporters and academics who visit, publishing detailed reports on their comings and goings that are complete with clandestine photos. And yesterday, a Hong Kong museum dedicated to the 1989 Tiananmen Square Massacre reported that its door had been forced and interior vandalized, perhaps delaying a planned reopening later this month. Beijing’s influence isn’t absolute, however. Last month, Hong Kong High Court overturned a local activist’s 2017 assault conviction for throwing a tuna sandwich at Leung Chun-ying, then the region’s chief executive. The acquittal was on a technicality — the charges didn’t name Leung as the victim, but rather the police officer whose arm was struck by the fish-filled bun. But pending appeal, it spares Avery Ng a three-week jail sentence. Ng, the chairman of the League of Social Democrats party, served four months in prison last year for leaking details about a Hong Kong corruption investigation. 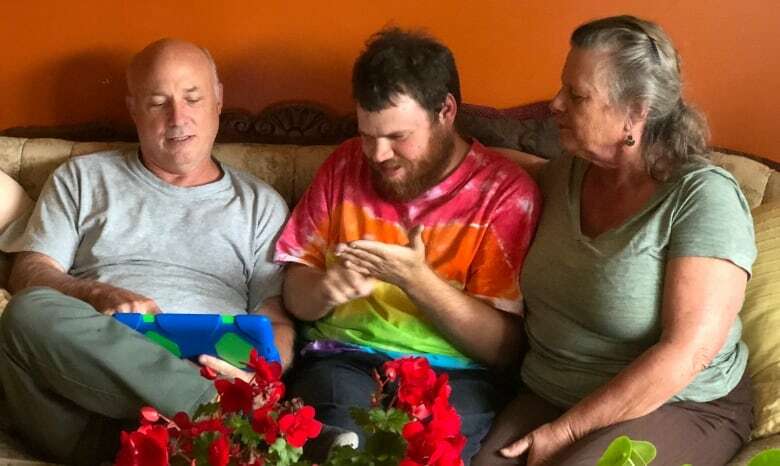 Pressing questions about the future of an intellectually challenged man in Nova Scotia drive home the heart-wrenching dilemma faced by many families across the country, reporter Tom Murphy writes. Every once in a while a story comes along that mirrors my own life. As a child, I remember my parents doing all they could to give my younger brother Edwin, who is intellectually challenged, a full life. It was all-consuming. And after years of fighting to get him into a regular classroom and involved in society in a meaningful way, the most difficult step was the one all parents must face … finding the right place for him to live his life without them. And so the story of Kathleen Purdy and husband Kim Smith struck a personal chord. Those were the simple words of advice given to the couple by their doctor the day their son Brendon, then 18 months old, was diagnosed with severe global developmental delay. That was more than a quarter of a century ago. Ever since, they have tirelessly built a world around him designed to spark his creativity. It’s difficult to imagine any parents doing more. They nurtured his interest in colours with art classes, and provided piano lessons to cultivate his love of music. They involved him in a community association that helps people with disabilities create their own businesses, in his case an apparel company that makes things like tie-dyed T-shirts for sale. And they included him in everything they did socially. And yet Brendon’s oral capabilities and his motor skills remain greatly impaired, and never advanced much beyond those of a three-year-old child. It has been an exhausting, albeit at times rewarding, life for Kathleen and Kim and their son. Theirs is a special parent-child bond. But they’ve also come to a realization that Brendon needs to leave home. Letting go won’t be easy. And it is complicated by the dilemma over where he will go. Despite years of promises by successive governments, Nova Scotia has been criticized for falling behind other provinces in its attempts to deinstitutionalize people with disabilities. That’s what Brendon’s parents fear: a future in an institution for their son, far from the enriched life they have worked so hard to create. Right now there are roughly 1,000 families in Nova Scotia on a waiting list for services, according to a recent inquiry. And there are few indications of when … or if … that will change. And so as they age with their son Brendon, who remains so permanently child-like, the anxiety only increases for Kathleen and Kim. An unconventional family in Britain has important ties to Canada, reporter Kayla Hounsell writes. When I heard about Simon and Graeme Berney-Edwards, I was at once fascinated by the science behind their story. They have twins who are only half-siblings? I became even more interested when I realized the dads travelled to Canada to make it happen. 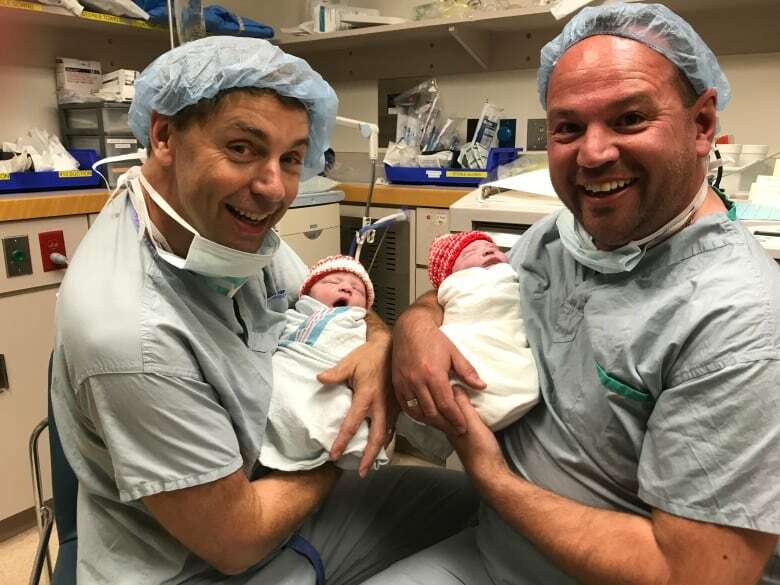 The men are each a biological father to one child — half of their donor’s eggs were fertilized with Simon’s sperm and the other half with Graeme’s. The embryos were then implanted in the same surrogate in Canada. But surrogacy arrangements in Britain can be complicated. “In the U.K. our laws are somewhat archaic,” says fertility and surrogacy lawyer Andrew Spearman. He explained that a surrogate has six weeks after the child is born to change her mind, and during that time her name along with her partner’s are on the birth certificate, while the biological parents are not. In Canada, in contrast, there are legally binding contracts around surrogacy that prevent a surrogate from changing the agreement. So the couple came to Canada to have their children. We went to Redhill, England, to meet the family, and as I sat in their dining room interviewing them, I was struck by just how badly these children were wanted. “You see them tearing around and they’re having fun, and just for a moment, you just sort of step back and go ‘Wow, this is it. They’re here,'” says Simon. Their parents went through so much to have them, and they can’t wait to tell their children where they came from. As we were getting ready to leave, the entire family sat on the floor sharing a bedtime story. “Before I settle down to sleep I’ll blow a kiss goodnight, to make sure all of Canada will have sweet dreams tonight,” Simon read. Grand theft auto — sort of. – Prime Minister Justin Trudeau doubles down on his threat to sue Andrew Scheer for libel over the Conservative leader’s claims of corruption in the SNC-Lavalin affair. “We don’t have any big issues,” is Jean Chrétien’s assessment of the Canada-U.S. relationship. And his state visit to Washington in 1997 underlines the easy friendship the prime minister has struck up with Bill Clinton. Along with the ceremonies, official meetings and banquets, there are also informal get-togethers for coffee in the president’s White House living quarters. “He’s an old pro at politics. And I think I am too,” Chrétien says of their relationship. A lot has changed in 22 years.